Description: The Aidan Barstool has a simple aesthetic with vertical lines to give you the right back support and comfort. It is crafted in quality Auburn bay metal finish with sturdy legs and foot rest. It is suitable for several rooms in and meshes well with a transitional decor. It takes a brilliant design to support such an elegant barstool, which entails a perfect sense of balance and functionality. 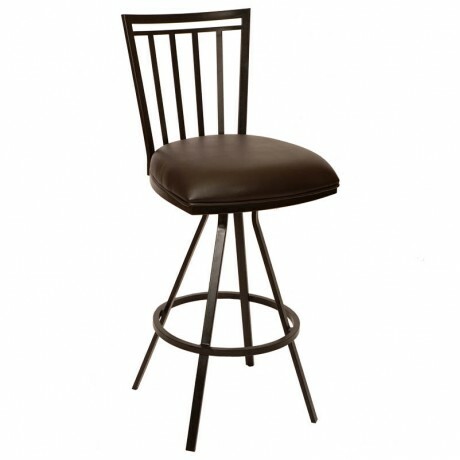 The Aidan barstool can transform your bar area into an ultra modern inviting corner. A perfect way to relax, this high back barstool provides a multi-functional use and style for your kitchen, bar or dining room.